Sign up below for a risk-free trial and whitepaper with no credit card commitment. Confirmation email will be sent to you. You must click and confirm to activate your free trial. After 15 years of research and development, we have been able to create the most cost effective business to business caller-id software on the market today. This reverse IP technology will enable you to view any business that has visited your website, even if they didn't complete an online form. Check out the video below to learn how this new reverse IP technology can uncover anonymous website visitors and turn them into hot leads. Get 10-25% more leads each week from your website. Watch this video. > Free Trial - Includes 250 Page View Exposures on the Mega Tracker system. Uncover business executive leads without credit card commitment. > Free Whitepaper - Learn the ins and outs of Mega Tracker and some cool marketing ideas that will help you close more business! 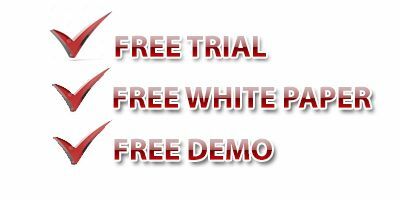 > Free Demo - Our customer care specialists are available for your demonstration. Let us show you how to use Mega Tracker in 3 minutes!